Founders, Mark and Layla Gunn, are philanthropists at the core. For nearly a decade, their struggles with infertility and their passion for children led them to raise over $500,000 for local and national children's charities. Their son, Lathan, conceived through IVF was born in 2006. Their son, Bevan, the precious gift of surrogacy, was born in 2015. Their experiences with infertility sparked their devotion to help other infertile couples achieve their dream of having a family. In 2016 the duo worked with partner Georgia Reproductive Specialists / Shady Grove Fertility to provide assistance for couples seeking IVF with the hope of ... 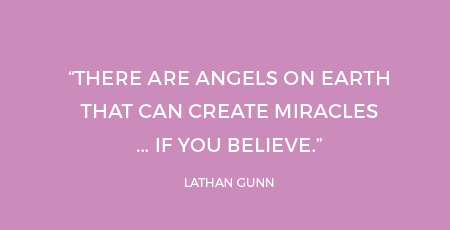 Granting Miracles. Granting Miracles is a 501(c)(3) Not For Profit. The Granting Miracles Board of Directors will select applicants for a grant that can be used toward fertility treatment. Get the details and find out how to get started. Where can I use the grant? Get the answers to these questions and more. Read the requirements for the grant, a description of the process, and download your application checklist and forms here.